Facebook has begun the initial rollout of a dedicated gaming tab as part of the app's main navigation. or engage in gaming groups on the platform and the gaming tab will help them connect with each other, TechCrunch reported on Thursday. "After clicking on the gaming tab, there will be a feed of content that points to instant games you can play with friends; videos to watch from top streamers, sports organisations and game publishers; and updates from your various gaming groups," the report said. 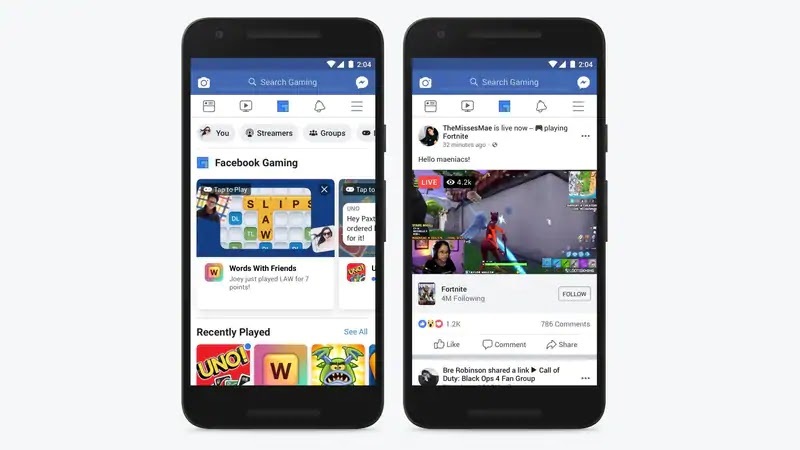 The new "Facebook Gaming" tab is built on the company's experimental gaming hub -- Fb.gg -- which was launched last year as a standalone mobile app. On Fb.gg, gamers were able to attract people with the aid of Facebook's personalised recommendations based on users' activity and then monetise those viewers through a virtual tipping mechanism. "As a top-level navigation item, Facebook's new gaming tab will now further extend the gaming hub's reach," the report added. Facebook is continuing its tests on mobile with a standalone (rebranded) Facebook Gaming app on Android. The company is rolling out the gaming tab and intends to expand it over time to more enthusiasts across the network. In September last year, Google-owned video sharing platform YouTube placed its gaming hub right on the app home page.